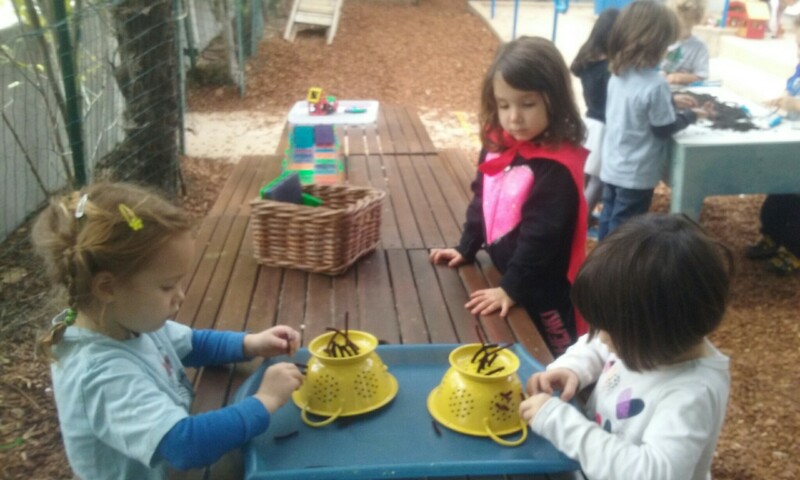 Using a colander and black pipe cleaners, we made our very own bees. 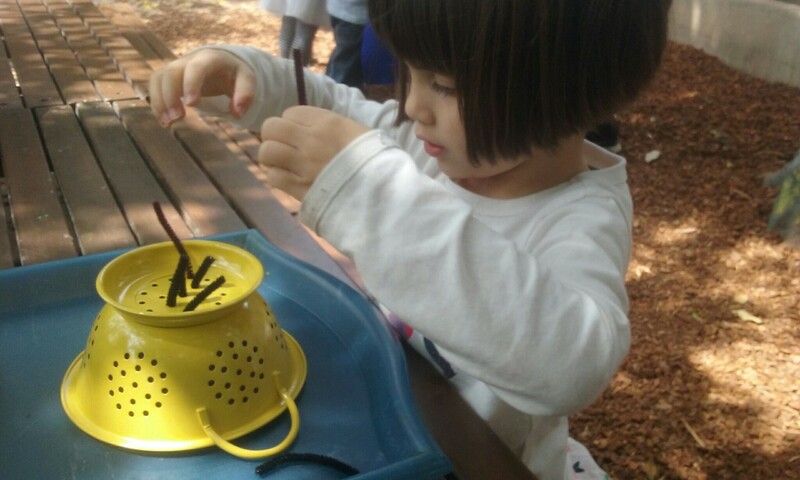 With their fingers, each child laced the pipe cleaners through the colander’s holes. This activity developed your little one’s fine motor skills, improved hand eye coordination and concentration, and most importantly, kept your little one happily amused! They were also directed to place a predetermined amount of pipe cleaners through each hole. 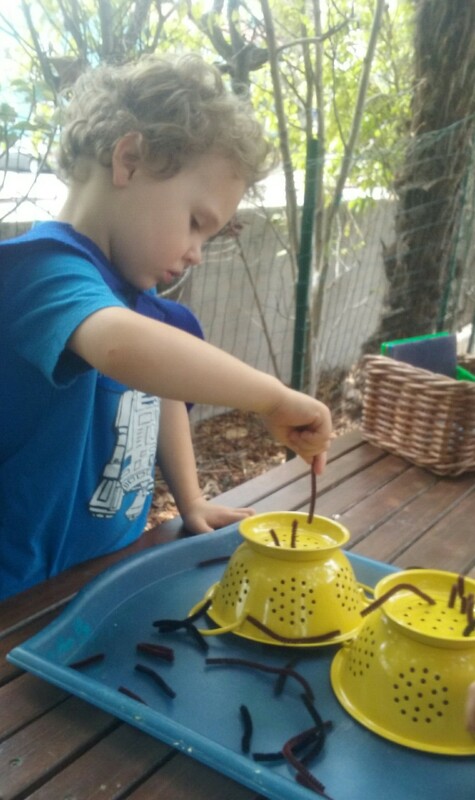 The number we have been focusing on this week is eight, and so each child practiced counting from one to eight and from eight back down to one, placing one pipe cleaner in the colander at a time, and counting aloud as they did so.